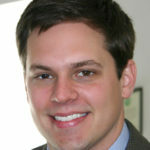 Matthew Ellinwood joined the NC Justice Center as a policy analyst in the Education and Law Project in August 2010, and became the director of the project in April 2016. Prior to graduating from Temple University Law School, Matt ran after-school programs in underserved communities in West Philadelphia and performed outreach work with migrant workers for Americorps in rural Virginia. Matt received a B.A. from the University of Pennsylvania and holds a master’s degree in education policy and management from Harvard University.